Departure of Hackulous and Installous is very sad news for the community of iOS jailbreak. It doesn’t mean that the community cannot find another way or an alternative for it. There are many substitutes for them like vShare or AppCake. As far as I have experienced, the AppCake is one of the best alternative to Installous on iPhone and iPad devices. I am personally using on my iOS devices without any issues. Personally, I would recommend everyone to use AppCake instead of any other alternative available on the Internet. I have installed AppCake on my iOS devices, as I told before. Now, I am free to download any application on my iOS devices for free of cost. 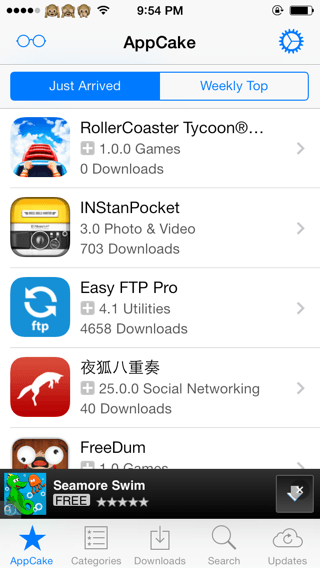 I seriously condemned the iOS app piracy, but I use these services to test before investing my money in iOS App Store. Many of you already aware of the fact that Jailbreak hackers are also imposing ban on such applications for jailbreak users, and over the past years, such applications raise serious numbers. If you are using AppCake, Installous, or any other service that allow you to download free apps for free of cost then you are hurting the healthy community. However, if you have similar vision like I have to test apps before investing money, then you can follow my guide on how to download AppCake on your iPhone or iPad device. You must be running a jailbreak-able iOS firmware version on your iPhone or iPad devices. You must have jailbroken your device using latest evasi0n7 jailbreak tool. You can follow the iOS 7 Jailbreak Guide here. You must have a Cydia Installer in your device to access the AppCake files, and directory on your iOS devices. Once you have all these on board, you can continue to know how to download AppCake on iPhone or iPad. I have installed AppCake’s latest version on my iPad Air running on iOS 7.0.6 firmware. The AppCake application is recently updated to include more stable libraries and fewer bugs over the newly launched devices. Step 1: Make sure you have all things that are mentioned in required section. Step 2: Open Cydia on your iPhone, and add AppCake’s repository. Step 3: Once you have added AppCake’s repository, reload your Cydia to fetch data from the newly entered repository. Step 4: Now hit the search bar and type “AppCake” or “AppCake+” to download the AppCake application on your iPhone or iPad device. Step 5: Find the latest AppCake version, and install it on your device. It will take time to download all packages from the official repository. So try to avoid touching your device for few seconds. Step 6: That’s it. 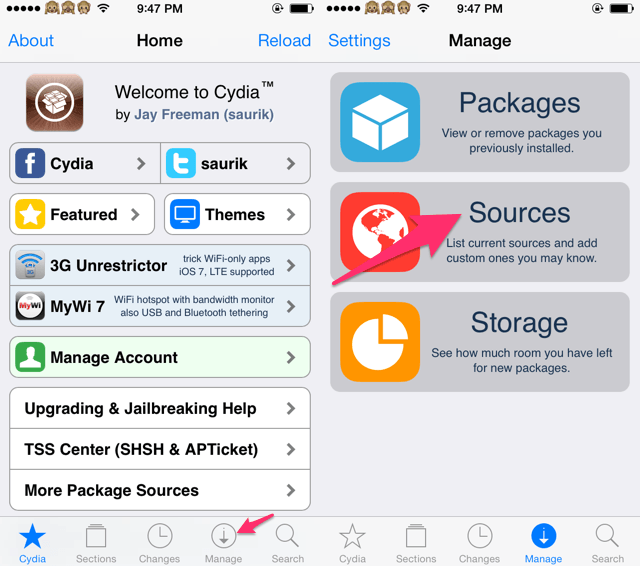 Cydia will inform you when you have successfully installed AppCake on your iOS device. 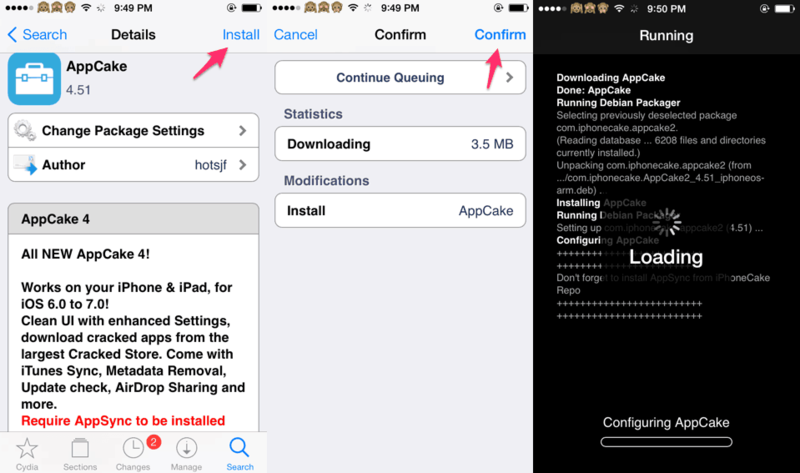 This is how you download AppCake and install it on your iPhone or iPad device. The team behind AppCake is focused towards the jailbreak users. If you are facing any trouble in installing AppCake, you can use the comments section to ask any questions. The method worked like charm for me . I tried this method on two devices and installed it on both devices. Thanks a lot.